Arrive at the Belize City airport. Visit the Community Baboon Sanctuary (a conservation project dedicated to preserving black howler monkey habitat) and the archaeological site of Altun Ha, a once-vital trade hub for the ancient Maya. Afterward, transfer to the Cayo District and Chaa Creek, a luxury resort and nature reserve in a pristine rainforest setting. 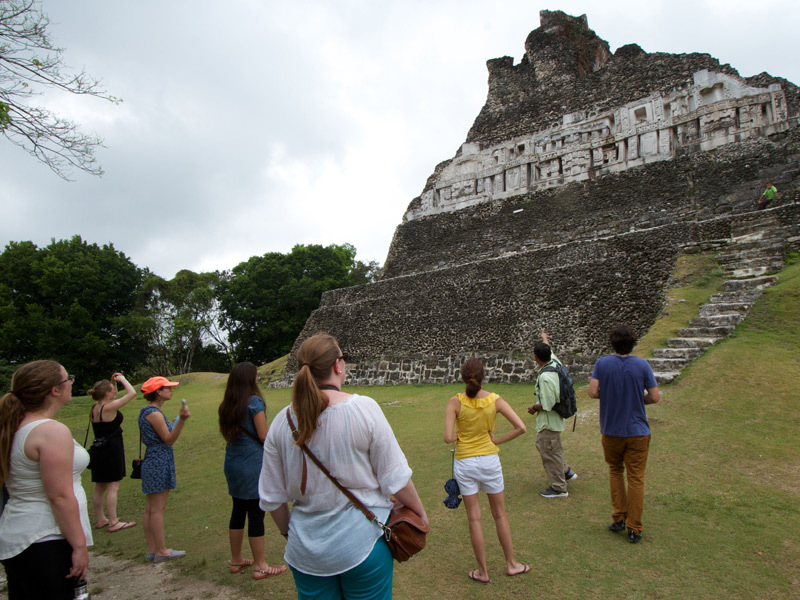 Explore the Maya archaeological site Xunantunich, an ancient Maya city with myriad temples, palaces, and plazas, plus an incredibly carved frieze depicting jaguar heads, human faces, and geometric patterns. After exploring the site, travel to the Barton Creek cave for a leisurely canoe ride past stunning stalactites, stalagmites, and old artifacts (the ancient Maya once considered the cave to be an entrance to the underworld and used it for ceremonial purposes). Travel to the Mountain Pine Ridge Forest Reserve, a protected national park that’s home to Caracol, Belize’s largest archaeological site. Around its peak in 650 AD, it’s believed that Caracol was home to approximately 150,000 people, more than twice the population of Belize City today. The site comprises thousands of structures, including a 42-meter (140-foot) tall pyramid. 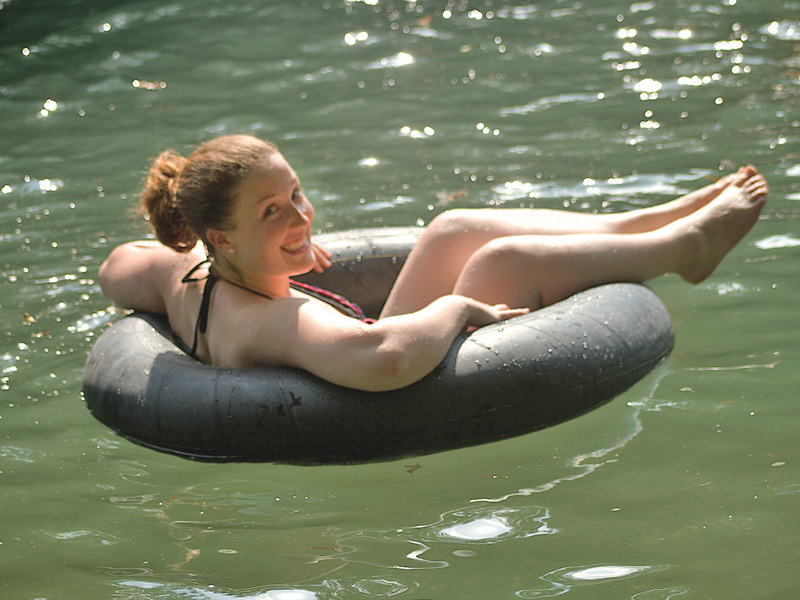 After touring Caracol (and feasting on a picnic lunch), visit the nearby Rio On pools (a series of stunning, swimmable pools) and explore the sizable Rio Frio Cave. Spend a free day in Cayo. 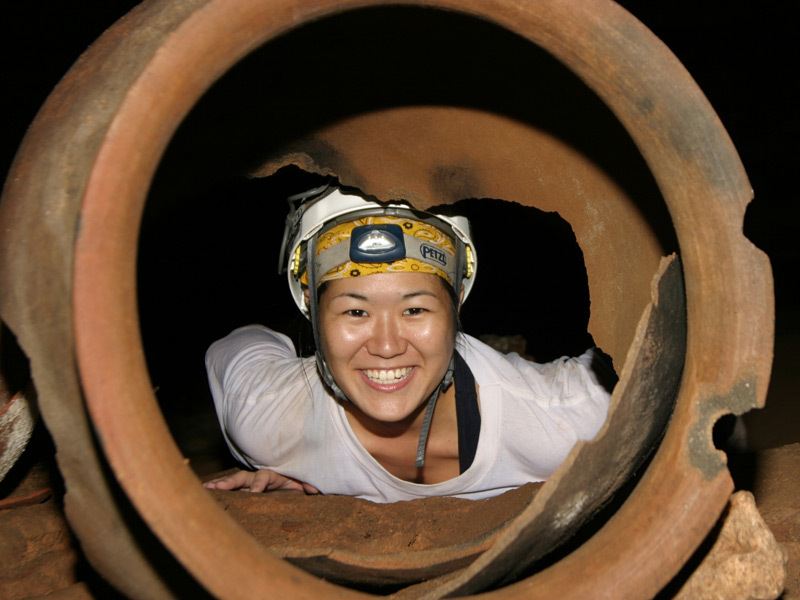 Enjoy horseback riding, cave tubing, or mountain biking. Plan a visit to San Ignacio town (the Cayo District’s main hub), explore additional Maya ruins, or tour the renowned Actun Tunichil Muknal cave. 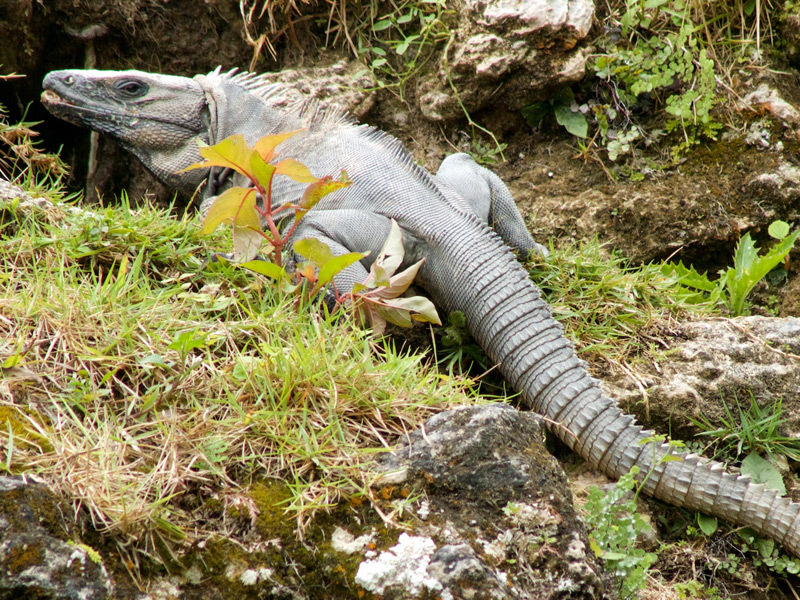 Visit the Belize Zoo, established in 1983 as a last ditch effort to house a collection of wild animals used to produce a documentary. The zoo is home to more than 150 native animals that have been orphaned, rescued, rehabilitated, donated, or born on-premise. After visiting with the animals (including the elusive jaguar), continue to the airport for a flight to the southern district of Toledo and the Belcampo Lodge, a boutique resort and farm in the heart of the Belizean jungle. Explore the Toledo District. Venture down jungle rivers by canoe or kayak, hike to pristine waterfalls, visit nearby caves, or tour traditional Maya villages. Try fly-fishing, chocolate-making, or bird-watching. Better yet, set out on a “snorkel with a chef” excursion to have a hand in catching lunch. 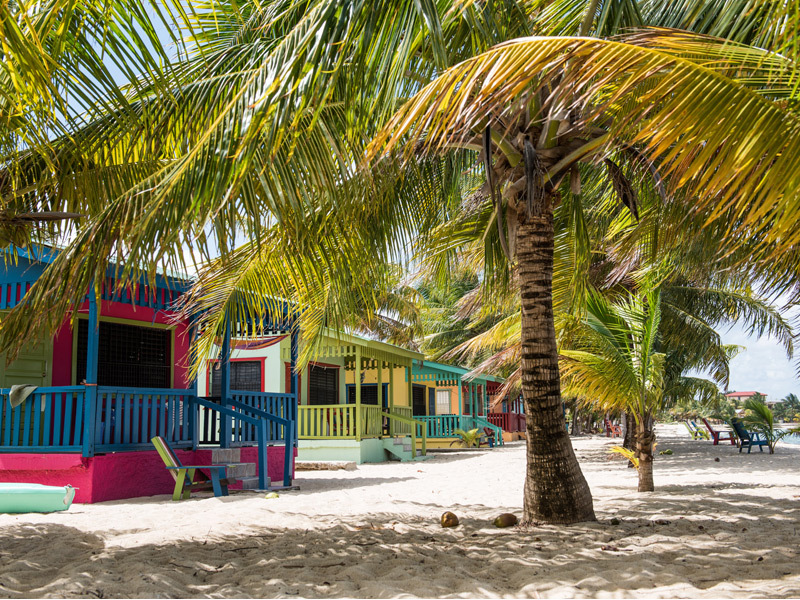 Head to the airport for a flight to Placencia, a peninsula on Belize’s south coast. Transfer to Turtle Inn, a luxury beachfront hideaway and Francis Ford Coppola property. 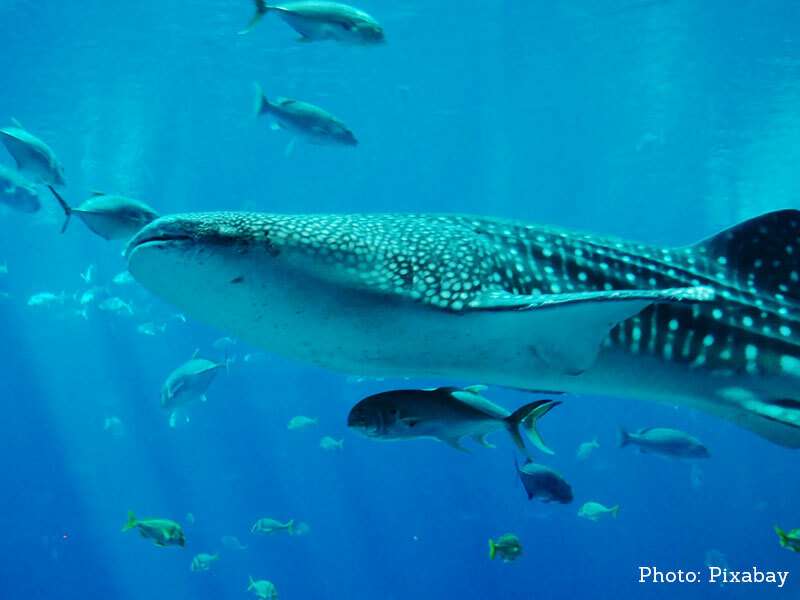 Scuba dive or snorkel alongside whale sharks, the world’s largest fish. The waters around Placencia, near Gladden Spit, attract these gentle giants during the months of April to June, particularly around a full moon. The sharks—which are harmless to humans—are often curious and will swim right up to boats, snorkelers, and divers. Set out by boat for the jungle-lined Monkey River, an area that’s home to crocodiles, green iguanas, toucans, and, of course, monkeys (of the howler variety). Learn about the surrounding forest and local wildlife on a moderate, 40-minute hike. You’ll also explore Monkey River village before heading back via the Placencia Lagoon where you may spot manatees, if you’re lucky. Enjoy a free day on Placencia. Settle into a pretty stretch of beach, snorkel, scuba dive, or set out on a fishing excursion. Take a bike ride around the peninsula, explore inland Maya archaeological sites like Nim Li Punit or Lubaantun, or visit nearby caves or waterfalls. Fly to Belize City for your departure flight.